So much for the backlash (see below post). 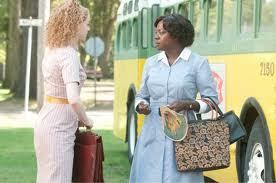 The Help, the Civil Rights era comic drama adapted from the Kathryn Stockett novel of the same name, picked up more than $5.5 million at the box office on opening day, Wednesday. The film, directed by Tate Taylor and starring Emma Stone, Octavia Spencer, and Viola Davis, has received generally positive reviews, with a few raves. It notched a 64 metascore at Metacritic, and a 73% Tomatometer rating at Rotten Tomatoes.